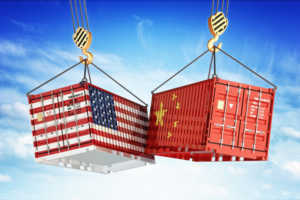 Cleveland 3PL supply chain management teams recognize the additional cost for many businesses amid the U.S.-China trade war is potentially crippling, involving $250 billion in Chinese export tariffs and $110 billion on U.S. goods. The Section 301 remedy tariffs have been unrolled in phases this year, and more are scheduled for next year. The Section 232 tariffs on aluminum and steel have also hurt bottom lines globally. Hopes are high an accord will soon be reached, but in the meantime, firms and industries reliant on Chinese manufacturing and parts (and there are many) should be mapping their game plans if they haven’t already. The aide of an experienced 3PL supply chain management company can help businesses navigate these challenges and curtail impact. Whether the tariffs will have the desired economic policy impact remains to be seen, but it’s not impossible that even if this one ends, a new one won’t suddenly crop up. Tariffs are one of those adverse market forces outside our control for which companies need to prepare because of the dizzying blow to American manufacturers and shippers, jobs and consumer prices. As a long-time Cleveland 3PL supply chain management partner, On Time Delivery & Warehouse works to formulate strategic supply chain approaches – tailored to each client – to help minimize distribution and financial woes. 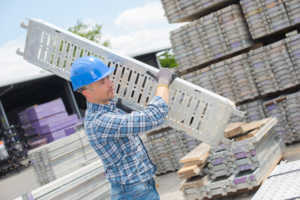 Is Your Ohio Construction Supply Chain Working For You? Effective Ohio construction supply chain management is critical to ensuring you aren’t wasting resources or valuable materials – ultimately costing you customer confidence. If your current supply chain system isn’t working for your construction business, it may be time to explore contracting with a new 3PL. Construction companies are especially prone to supply chain complexity snags because unlike so many other industries, you may not be building the exact same prototype over and over. The teams with whom you’re working – from consultants to contractors to suppliers – might vary greatly from project-to-project or season-to-season. Having an adaptable and responsive supply chain management 3PL can be key to streamlining and lowering your risk of loss.